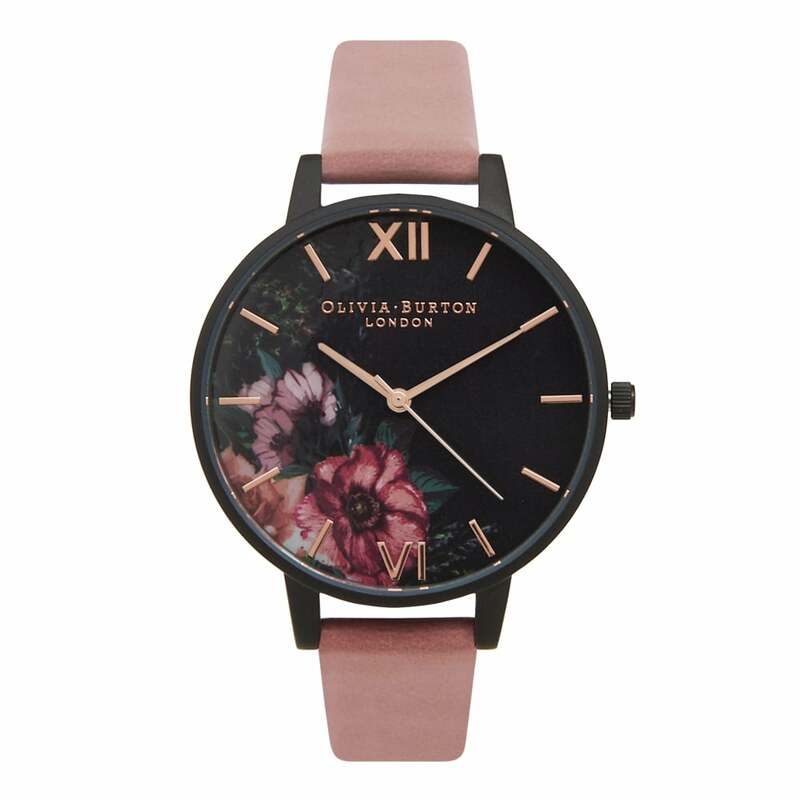 Come to the dark side with this contemporary watch which mixes heavy matte black with feminine florals and dusky pink strap. Rose gold markers and crisp colourful peonies adorn the oversized dial. Perfect for those who want to add a touch of chic to their wardrobe.